The Eon kitchen sink mixer features a swivel spout and is fitted with a ceramic cartridge for your ease of use and simple mixing of temperature. 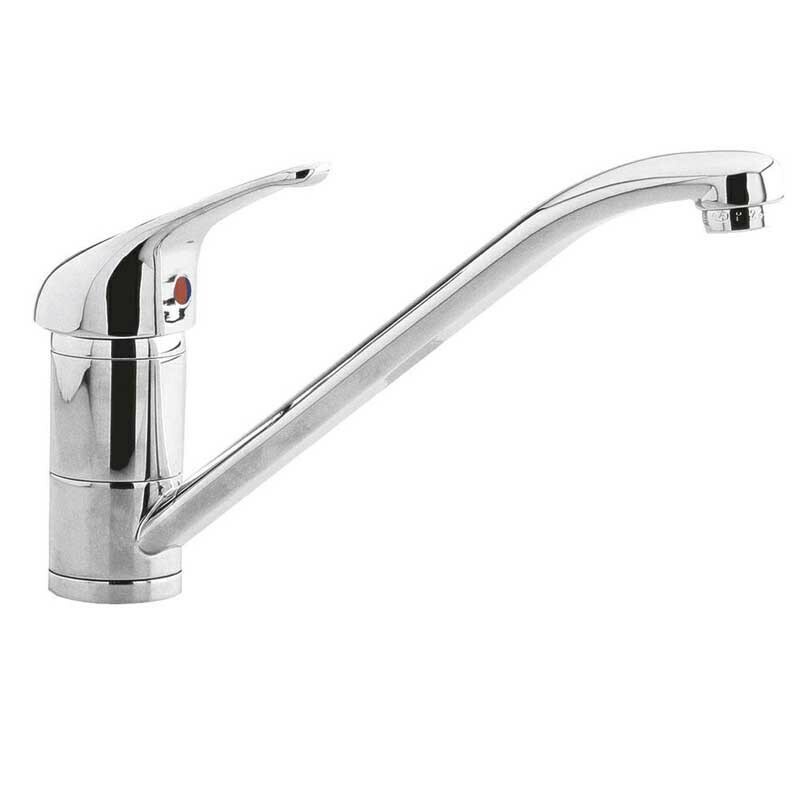 This Eon kitchen sink tap is supplied without a waste, we recommend a choice from our wastes and traps section. It is supplied complete with tap connectors and all fittings for fixing to your kitchen sink or worktop. If you are fitting this kitchen tap to a worktop we recommend a 35mm diameter hole is drilled. The Eon monobloc kitchen sink tap is suitable for high pressure water systems only, we recommend a minimum operating pressure of 1.0 bar. The total height is 130mm and its projection from centre of the body to centre of the spout is 235mm. Service rating : Item supplied was not as advertised. Full refund given in timely fashion. Product : Different brand supplied to the one advertised; different spec. so did not fit job.